It’s been a few years since I last paid serious attention to a Lacuna Coil record. I wasn’t terribly impressed with the band’s 2009 release Shallow Life, and as a result I almost completely ignored 2012’s Dark Adrenaline when it first came out. That latter record has grown on me over the years, and I’ve even come to accept Shallow Life for what it is. In recent months one thing that I’ve come to appreciate about Lacuna Coil is their consistency. True to form, Broken Crown Halo does not significantly alter Lacuna Coil’s sound. While the album offers little in terms of surprises, it’s the familiar experiences that the record offers that are central to my enjoyment of it. All the things I expect from a Lacuna Coil album are here. The band has noted that Broken Crown Halo’s sound is apparently inspired by Italian acts such as Goblin. I will not be the first reviewer to note that any such inspiration on Broken Crown Halo’s sound is not obvious. 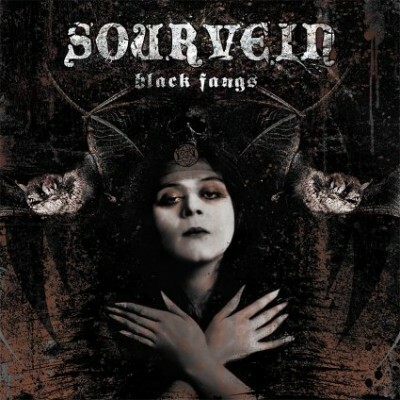 The album’s strength comes not from experimentation, but rather from the band further honing its now trademark sounds. It’s not all good. The lackluster opening track and single “Nothing Stands In Our Way” doesn’t offer the best first impression. “Victims” is a bit of a stumble, focusing too much on some of vocalist Andrea Ferro’s weaker contributions to the album. Thankfully, those lesser tracks are forgotten in the wake of the one-two punch that is “Zombies” and “Hostage To The Light.” From “Die & Rise” onward, Broken Crown Halo keeps up a moody momentum that ultimately provides the album with its own identity amongst Lacuna Coil’s catalogue. Later songs like “I Forgive (But I Won’t Forget You),” “Cybersleep,” and “Infection” give vocalist Cristina Scabbia plenty of space to shine, as would be expected of a new Lacuna Coil album. What stands out to me about Broken Crown Halo is that Andrea Ferro’s vocals are much more direct and engaging in tracks such as “I Burn In You” and “In the End I Fell Alive.” I shouldn’t be surprised at this. However, to me it seems that all too often Ferro’s vocals are either underused or he’s asked to sing in a way that reduces the strength of his voice to a more strained-sounding rasp. Clearly the band intends it to be that way, and the established vocal interplay between Scabbia and Ferro remains a central aspect of the Lacuna Coil’s sound on Broken Crown Halo. For that reason, however, I ask why Ferro still sounds like he’s so often playing second-fiddle to Scabbia, and unnecessarily so. Is it a question of balance? Live performance logistics? Marketing? 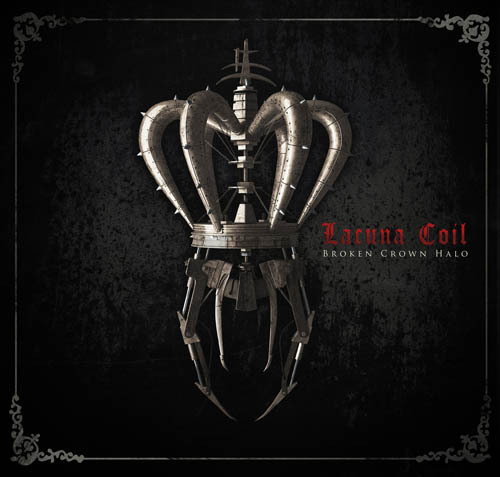 Having rediscovered my liking for Lacuna Coil, I’m happy to say that Broken Crown Halo doesn’t disappoint (even if it doesn’t shake up my expectations either). It’s worth noting that since the album’s release there have been some shake-ups in the band’s line-up (both drummer Christiano Mozzati and guitarist Christiano Migliore have recently retired). I’ll be curious to see if those departures alter the band’s dynamic. I actually hope not. While new inspiration is always welcome, for me Lacuna Coil is a kind of musical comfort food. I wouldn’t expect or want the band’s core sound to change too radically anytime soon.